Arguments are presented for doubting whether the effect of AMPPNP on insect flight muscle in rigor signals a reversion of the power stroke of attached cross-bridges. Instead, the effect of this nucleotide on insect and other muscles may be better explained in terms of the behavior of detached bridges. 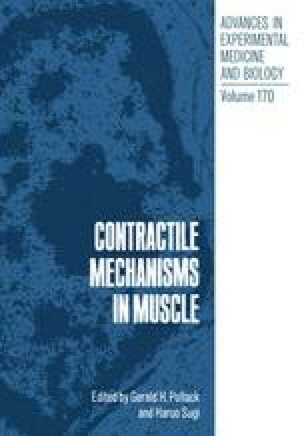 Knowledge of events in the detached half of the contractile cycle may nevertheless be relevant to understanding the mechanism of energy transduction.